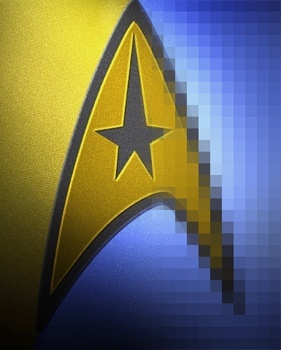 Could Star Trek Be Getting A Farmville Clone? The Starship Enterprise is boldly going where no other Federation ship has gone before: The realm of free, browser-based games. Move over, Star Trek Online, there's a new Star Trek web franchise coming to town! This time, it's going to be a series of free-to-play browser games. This morning, Gameforge announced that it had signed a worldwide agreement to publish "free-to-play casual browser games" based on Gene Roddenbury's celebrated creation. Exactly what type of games Gameforge is working on hasn't exactly been revealed yet, however. Based on the vague information provided, the games could be anything from Trekkie-oriented card games to a full-blown MMOGs along the lines of Farmville. "Our upcoming Star Trek browser games will further expand our consumer base and market share on an international scale," said Gameforge's CEO, Christoph Jennen. "We are proud that the quality of our games and publishing services enabled us to acquire this license. Our upcoming Star Trek browser games will further expand our consumer base and market share on an international scale." An MMOG is definitely a possibility, since the publisher's portfolio includes titles like Metin2, OGame, Ikariam, Gates of Andaron, and Gladiatus, but it sounds like the gaming community will have to wait to find out more about this deal until further details are officially revealed.